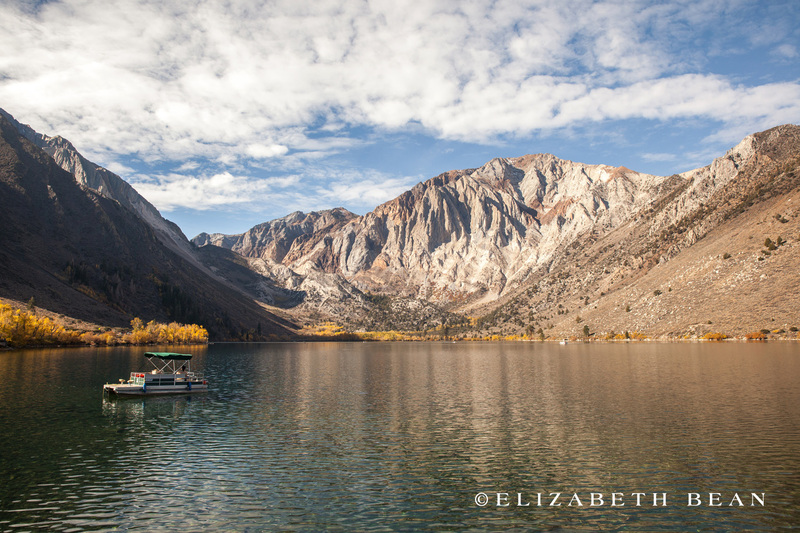 Los Angeles is well known for its pleasant warm year round weather, but does fall short on the change of seasons. 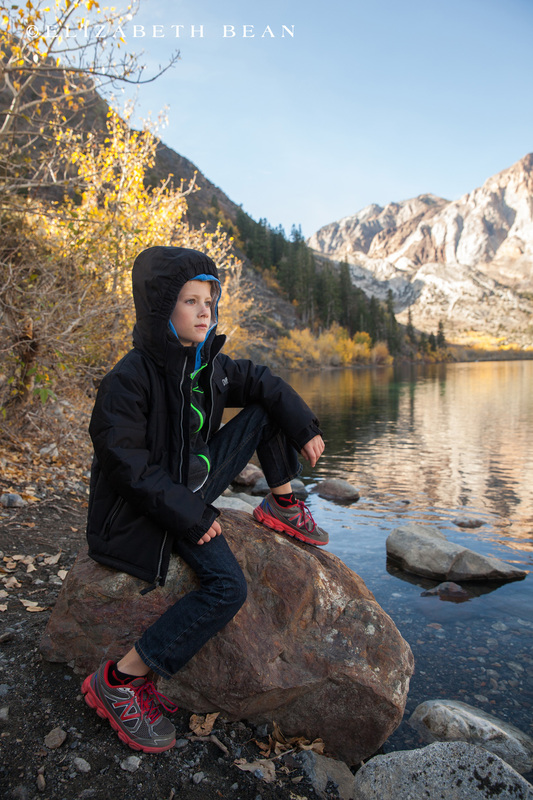 With this in mind, we packed the kids up for a weekend of cooler temperatures and fall colors in the Californian Eastern Sierra Nevada Mountains. 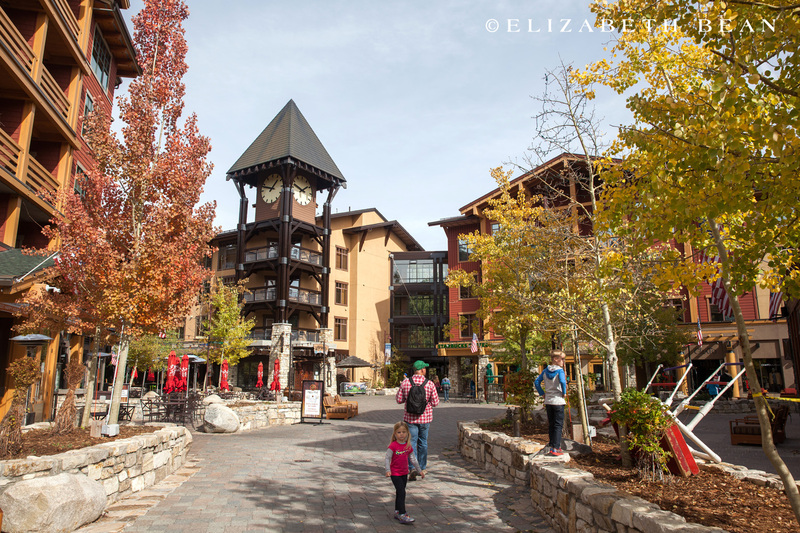 Mammoth Lakes is an alpine mountain resort town you don’t want to miss, any time of the year. 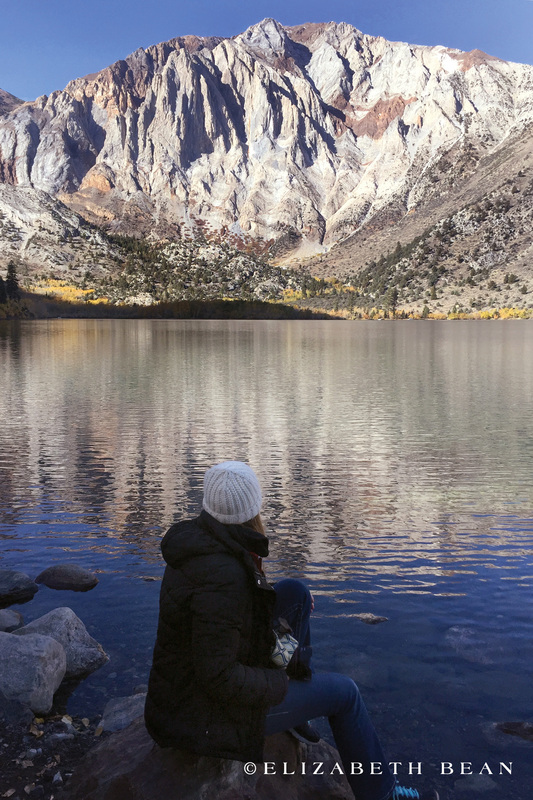 Typically known for its world class skiing in the winter and downhill mountain biking in the summer, Mammoth Lakes is quite beautiful and relaxing in the off-season and filled with fall foliage. 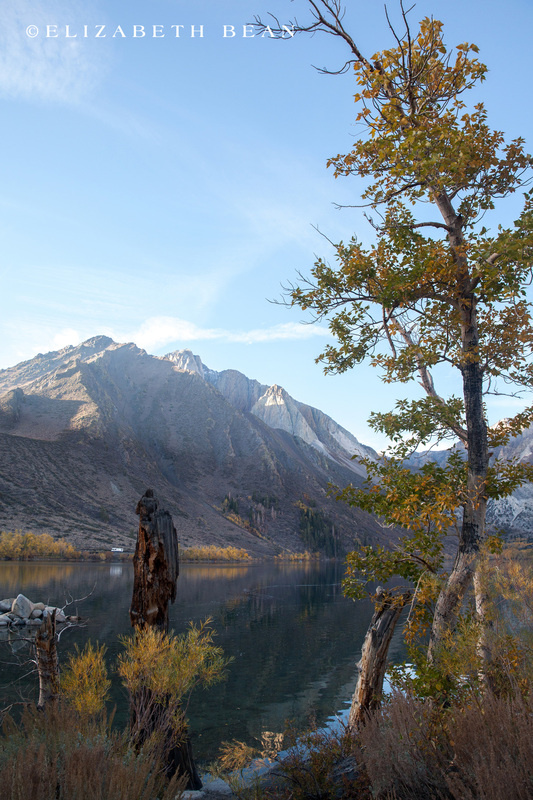 A short 15 minute drive south on 395 from Mammoth is Convict Lake. 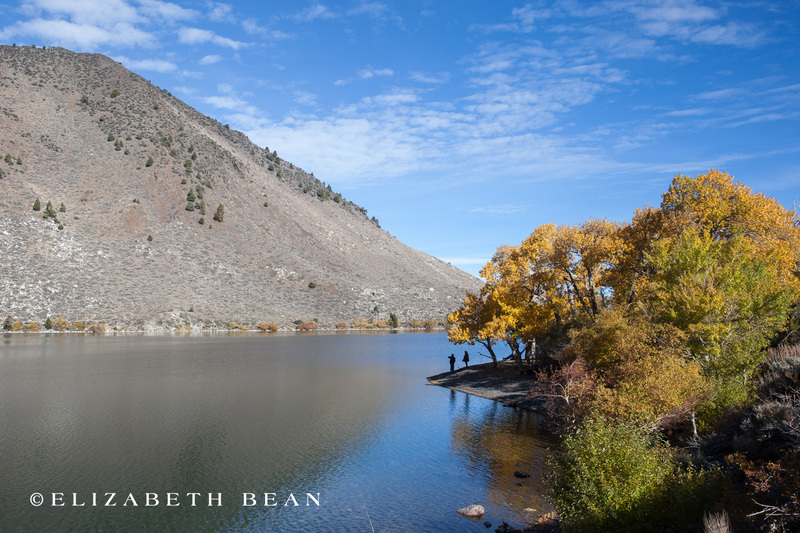 The lake was named for a historic 1871 ambush and capture of a group of prison escapees from Nevada. 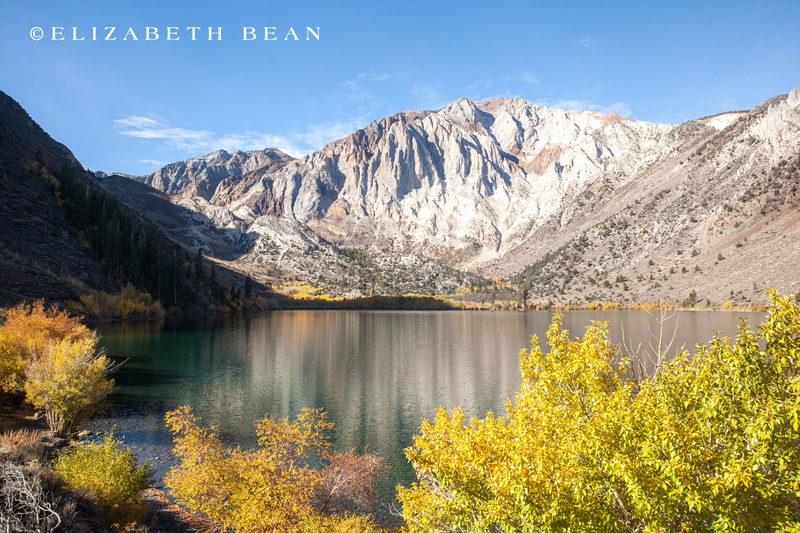 The lake is well known for its fishing and scenic views of the Sierra Nevada Mountains rising sharply above the back of the lake. 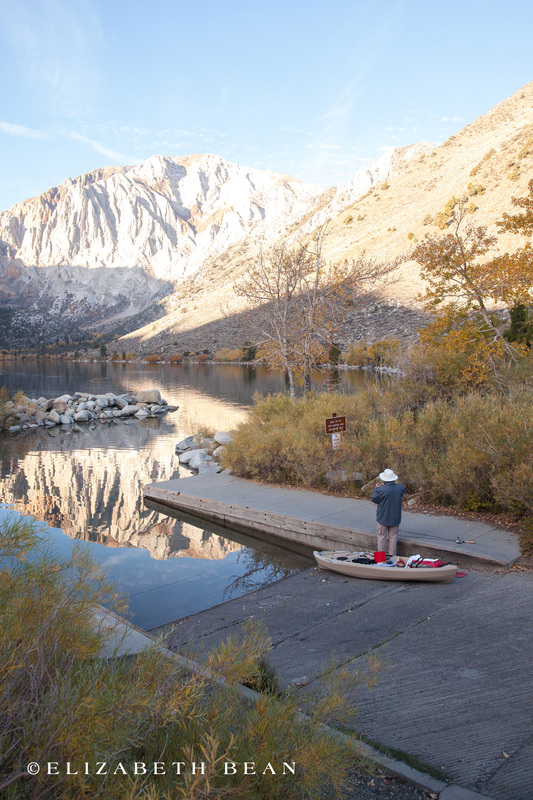 The area is also home to some great hiking. 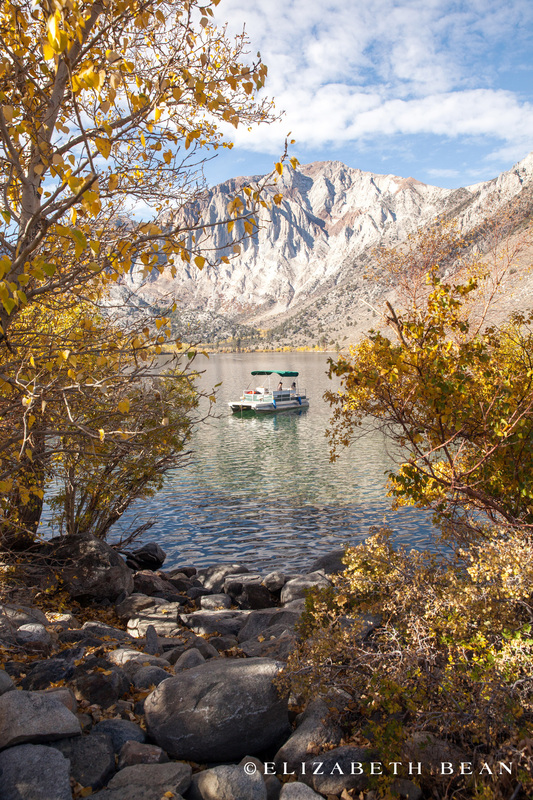 The Convict Lake Loop was a fairly easy 3.3-mile dirt trail hugging the lake’s shore. 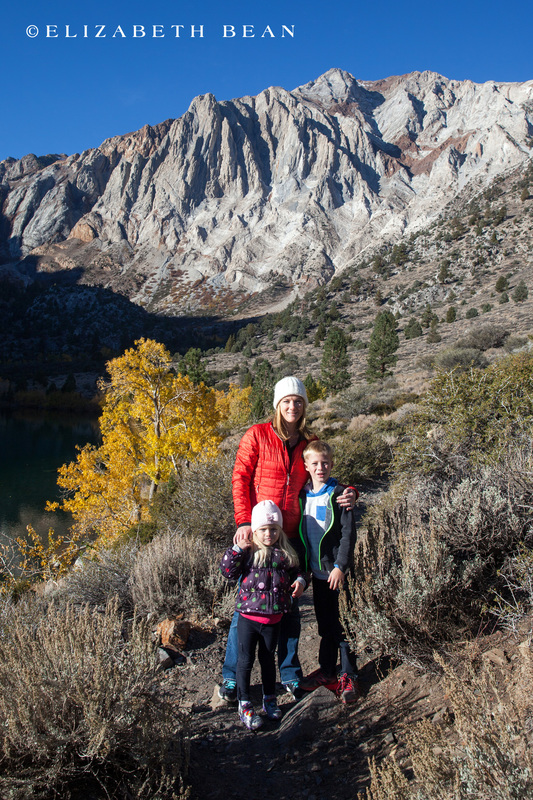 The trail offers spectacular views of the rugged Mount Morrison and Laurel Mountain nearly 5,000 feet above. 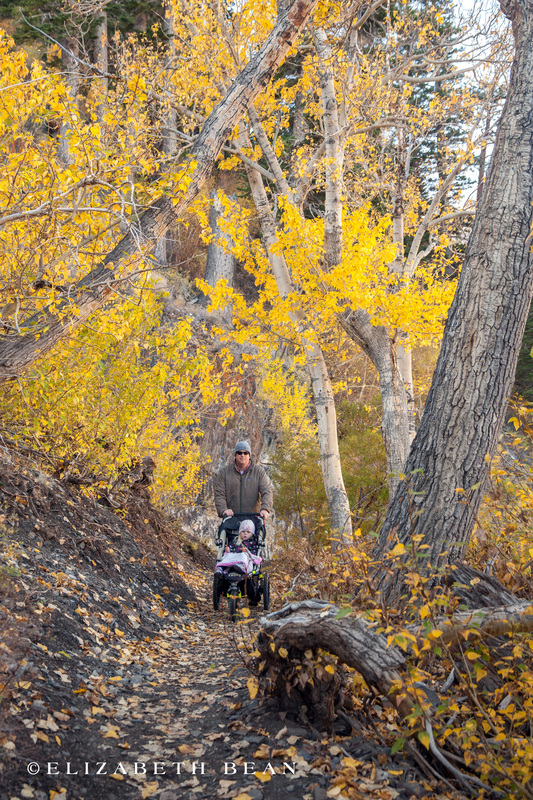 The trail starts out sandy but quickly becomes rocky while climbing through the sagebrush scrub. 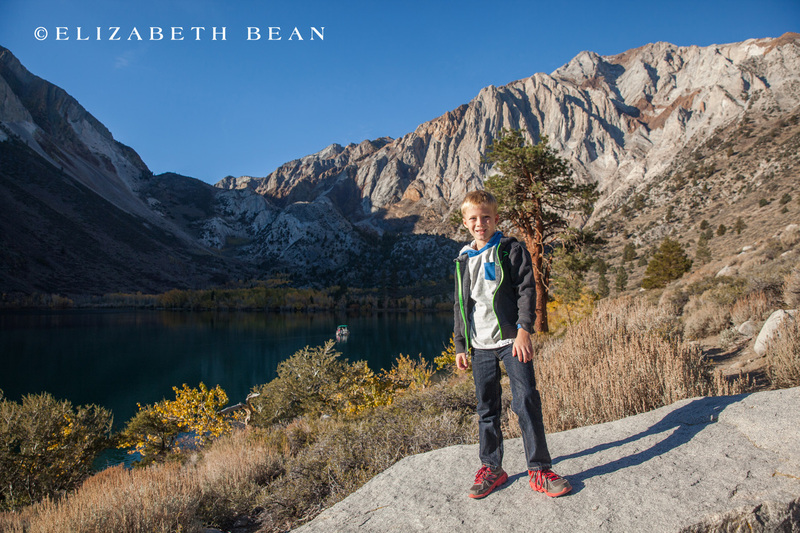 At the top of the slope was our first glimpse of the crystal-clear glacial lake. 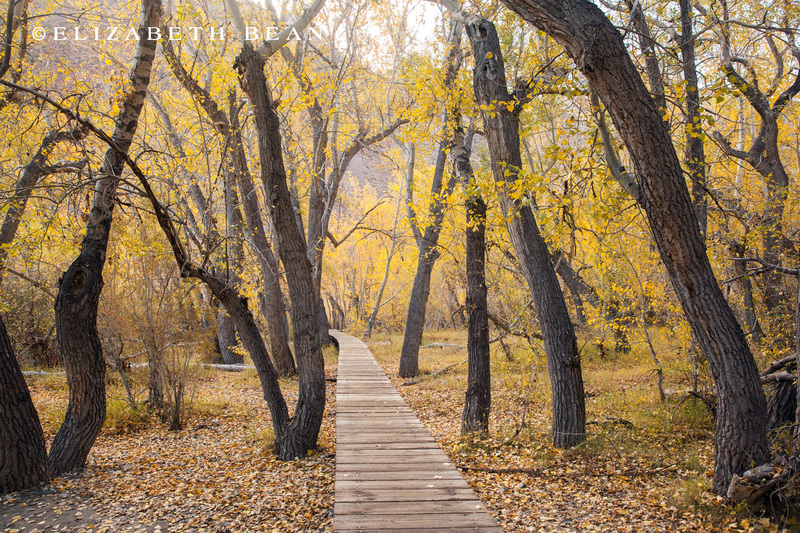 Back down the trail, on the south shore, is a beautiful boardwalk among aspens and cottonwood trees. Making our way make to the harbor, the vegetation remained more wooded and shady but never disappointing. 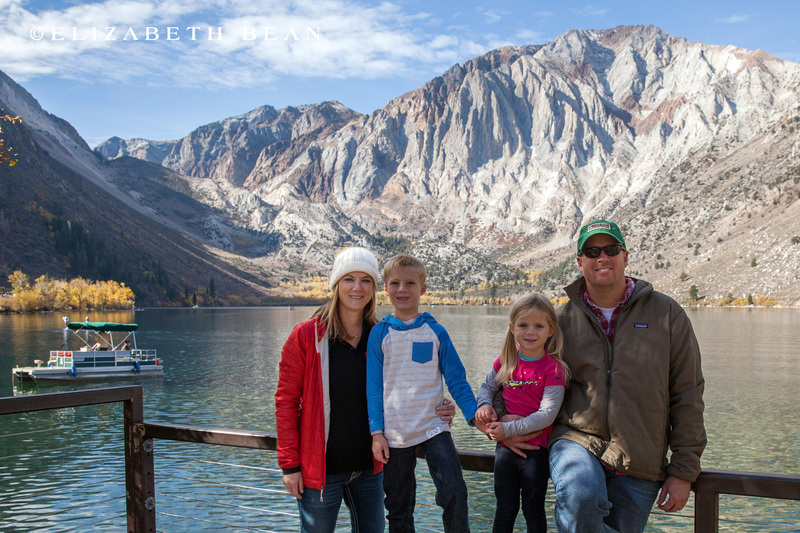 The views of Convict Lake were breathtaking and a perfect place to explore with the family. 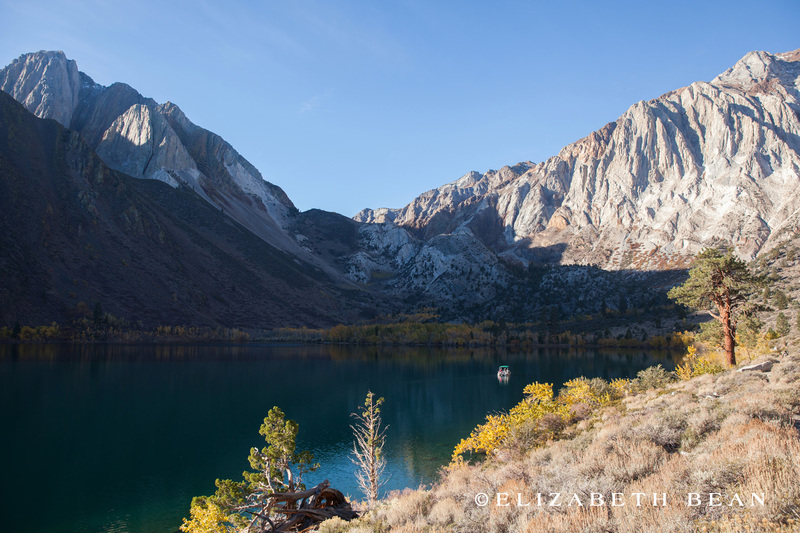 Have you hiked the Convict Lake Loop? 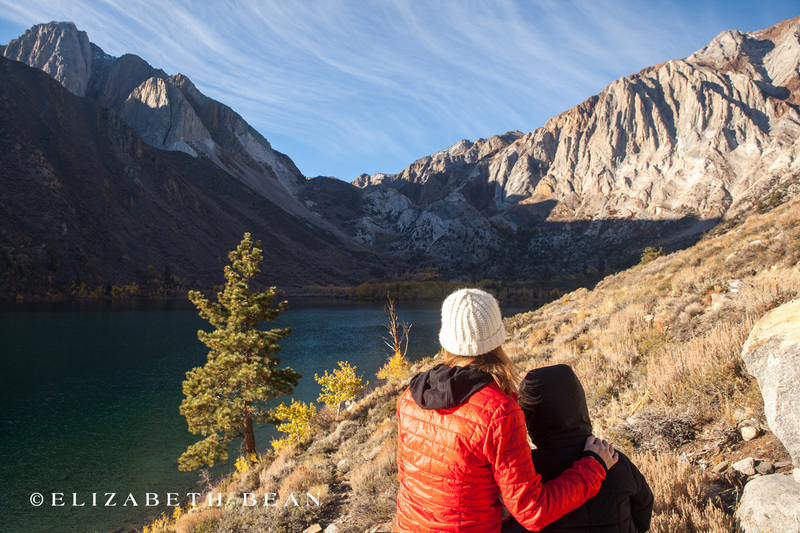 Do you have any favorite hikes you want to share with us? 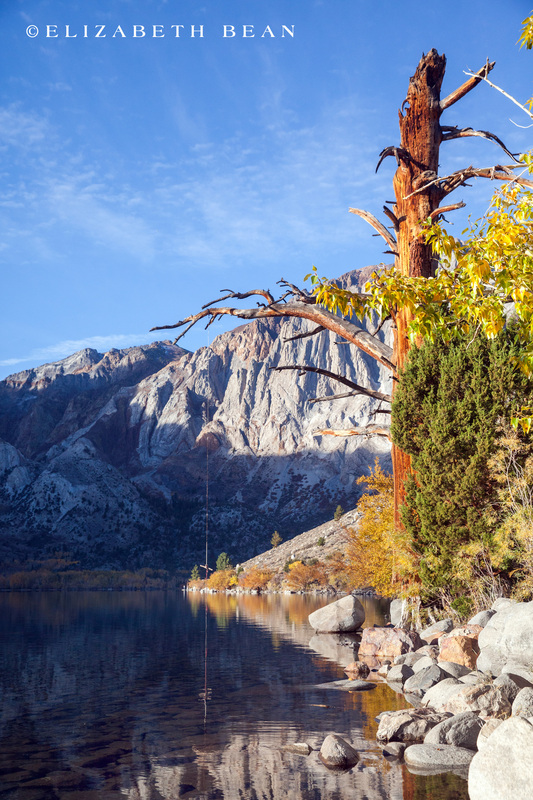 Check out this fantastic list of Boot Bomb’s Top 50 Long Distance Hiking Trails in the US and Authorized Boots Top 55 Long Distance Hiking Trails in The United States. 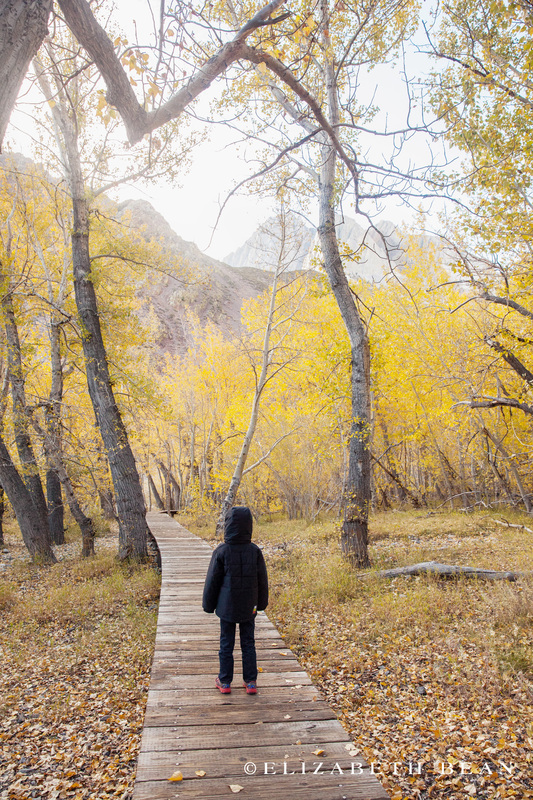 Happy Hiking! Absolutely beautiful. I suppose we take fall for granted living on the east coast. 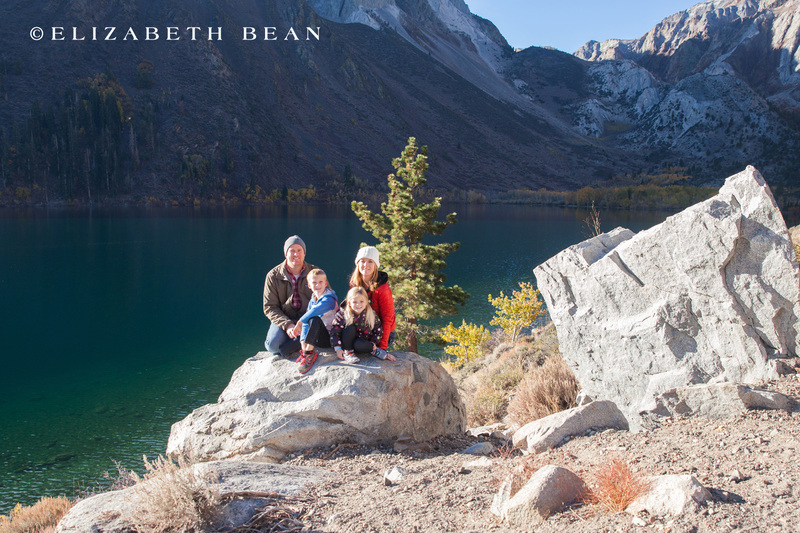 Lovely photos and beautiful family. 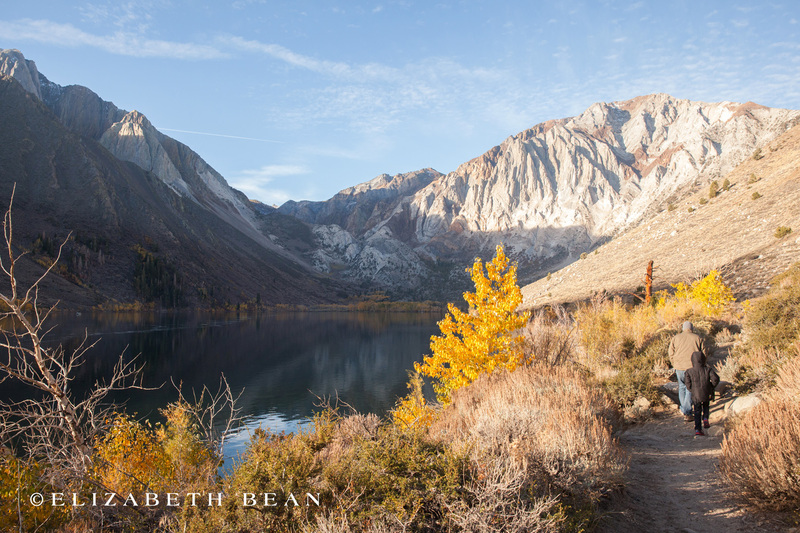 looks like You found some amazing yellows and golds in mammoth lakes. 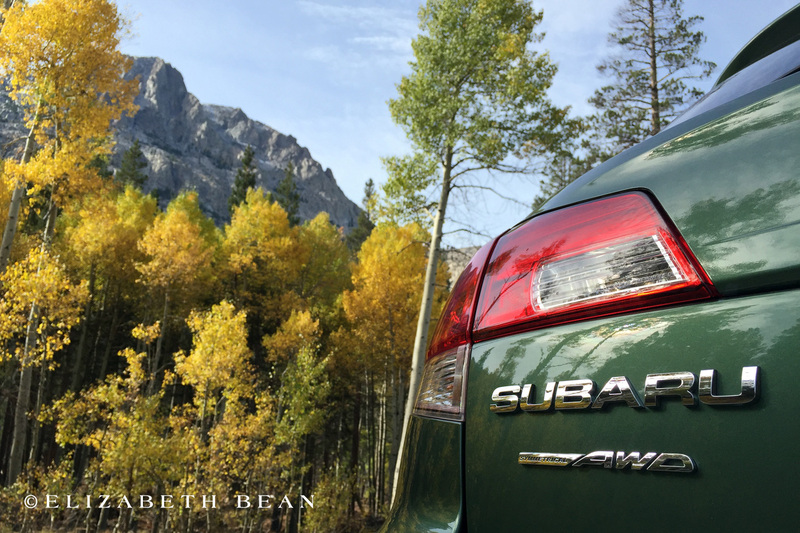 We are still waiting on FALL colors in Texas!